Recently a friend asked me to recommend something that a young man considering a call to ordination might profitably read. I went through “the usual suspects” (i.e., Bishop Lightfoot, John Stott, W.H. Griffith-Thomas), but actually came up with a novel, or rather a novella, to help him spell out the issues. It is sometimes true that a work of art — a song or painting or short story or movie — gets through to me in a way that propositional non-fiction, say Bishop Lightfoot’s treatise on the ministry, does not, or maybe even cannot. I believe this is because music or fiction is likelier to connect with my unconscious. And our unconscious is where the action is, at least in the case of many human lives. This is why I could just hit myself that it took me 62 years to discover Burton Cummings. Well, that’s not exactly true, since the group for which he was a leader, The Guess Who, got right to me in the Spring of ’70, when I was going through one heck of a crisis. I didn’t quite realize it was a crisis; but hey, I was “19” (Paul Hardcastle). How was I to know that behind “No Time” and “American Woman”, which were the soundtrack of our lives then, stood a kind of seer. Seriously, I mean seer. Burton Cummings, who incidentally was a child in the Anglican Church of Canada, is such a medium for Inspiration that he has been just going and going and going since about 1965. He is still going, and I want to say, ‘Rats!’ over and over, because I missed his January shows at The Orleans in Las Vegas. Would have flown out there in an instant if I had known. Around 1975 The Guess Who broke up, and Burton Cummings started writing and performing on his own. From that time through today, which is early 2014, he has produced what my wife calls a true body of work. There is so much to it, it has such a deep bench, that I defy even the most hungry of us to run through it in anything like … a lifetime. You have ’70s ballads that can sometimes sound a little lame at first, until you begin to listen to the words, and to the intense personality of the voice and feeling. You have ’80s “synth”-type productions that can sound a little “lite” until, again, you take in the lyrics. After two or three hearings, you’ll be stuck in the Eighties. (Is that a bad thing?) There is also a true note of loss in many of these songs. That note pervades The Guess Who years, too, in my opinion. It’s just there, and I don’t know its explanation. And so it goes and so it goes. The ’90s offer plenty of B.C. material, and our millennial decades, too. Around 2010 — the date depends on whether you lived in Canada or the USA — Cummings wrote, produced, and performed an album entitled “Above the Ground”. He was in his early sixties. It has some of the best and most inspired material he has ever offered the world. Listen to “Invisible”, “A Touch of Morning”, and “Above the Ground” itself. For Mockingbirds, “Invisible” could be the greatest song ever written, at least since The Song of Songs. You can get a good flavor of Burton Cummings, both as a person and musician, through the video below that was recently published on You Tube recording his return to St. Thomas Episcopal Church on Fifth Avenue, where his 1975 song “I’m Scared” came to him. That video is an excellent place to start. In Mockingbird terms, I might portray Burton Cummings as an open conduit to emotional truth, with an openness, as well, to the religious and Christian side of life, which seems quite rare in a great pop success. He has said that he was never an atheist. Nor, however, was he a believer in a church-going sense. But all you have got to do is hear “Runnin’ Down the Street”, which was performed by the Guess Who and written by Jim Kale and Garry Peterson, to get Intimations of Mortality quite early in his career. I feel, myself, that several of his songs were written and performed In the Presence. Here are two playlists, personal on my part, but also as a Mockingbird. The first is ten songs by The Guess Who, all of which feature Burton Cummings; and the second is ten songs by Burton Cummings on his own. They are not listed in order of preference. Awesome! Totally awesome! Thank you for the video of St Thomas. Wyona and I have been many times. We stopped by on a saturday afternoon and sat for an hour listening to the organist practice. It was the high point of the weekend. Now I must go find some Burton Cummings. Wow, PZ – Invisible is an amazing song, it resonates right in the hurting place and honestly just makes me want to cry. I’ll have to work through the entire playlist. Many thanks for introducing BC. So what novella did you recommend to your friend? Seven years ago I experienced a huge live event with Burton Cummings and The Carpet Frogs, his touring band of the past dozen years and more. It was an outdoor concert with prominent performing artists of the day. It quickly became clear who that mass audience of 120,000 was there to see. Cummings and the band bounded onto the stage and left the throngs awestruck. I have followed Cummings since the 60’s from his days with The Guess Who through his solo years, including those remarkable years with Randy Bachman through to current day. 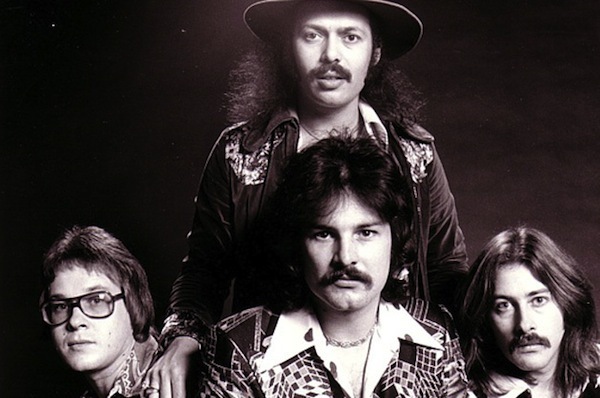 Regrettably I never saw The Guess Who perform live, though through this past seven years I have lived and re-lived the past five decades through the long and powerfully timeless hit list of iconic songs that have stolen the heart, mind and soul of millions for all these years. That Cummings can boast such longevity in an increasingly unforgiving industry is testament to the remarkable connection this man has with his ardent following who travel cross country and beyond over and over to experience straight up rock n roll with an honest, unaltered or enhanced sound, vocals and instrumental alike. That his audience consistently includes the youth of today tuned in and turned on is really quite remarkable. Cummings is heralded as sounding better than ever. His tour band backing with tight, edgy sound that resonates their gift relentlessly in keeping with this legend’s dedication to excellence. There is a reason Burton Cummings has held center stage for over fifty years on with no end in sight. As he mounts the stage the ovation is every bit as energized as his moments leaving the stage, fist raised victorious and acknowledging, at the end of a heart-stopping two hour music extravaganza, tears of endearment and a storm of wonderful memories through song associated etched in the faces of adulation, respect and inspiration. I’ve shed tears of my own hearing and seeing this man vocalize his tremendous set list in a truly distinctive way, his ‘own way to rock’. Cummings two most recent studio recordings ‘Above The Ground’ and ‘Massey Hall’ are outstanding, his dedication to his music and his audience astonishingly unwavering. Burton Cummings live is two hours of magic, two hours of real, two hours of then and then…timeless, amazing sound. “Janet’s Repentance”, dear Jim, by George Eliot. The more I listen to his songs, a fact becomes crystal clear. This man has never written a true love song. He has a very vague dance around the concept with “Rhapsody”, but if he tries to approach love, it turns into an “I F-ed up” song, a “Loved and lost” song, or a “she walked away because she was tired of my crap” song. He is one hell of a performer, and has tons of talent, but there is a hole in his soul. It saddens me. I would even wonder if he suffers from depression, or delusions of grandeur. He has his FB page, but it is very clear that it is a place that spotlights his “inner circle” and makes other fans feel left out. I’ve been following this page for a year, and I have come to many other conclusions by contributing comments, sending messages and just observing the content of his page and the superior attitudes of his “inner circle”. I keep hoping I am wrong…but this PhD keeps seeing more and more things that make me wonder what burdens lie on the shoulders of the one wearing that gorgeous moustache.